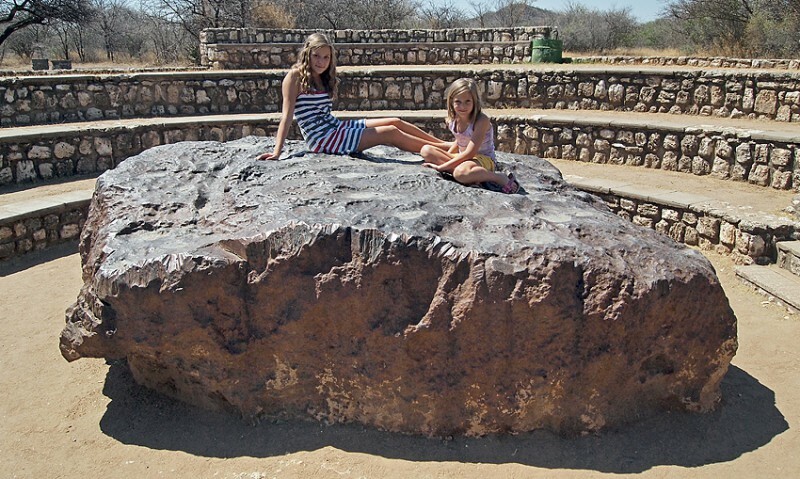 It is called “The Hoba meteorite” and it is the largest known meteorite in the world. It is almost 5 m long and up to l m thick. It weighs approximately 50 tons! Some shooting star! 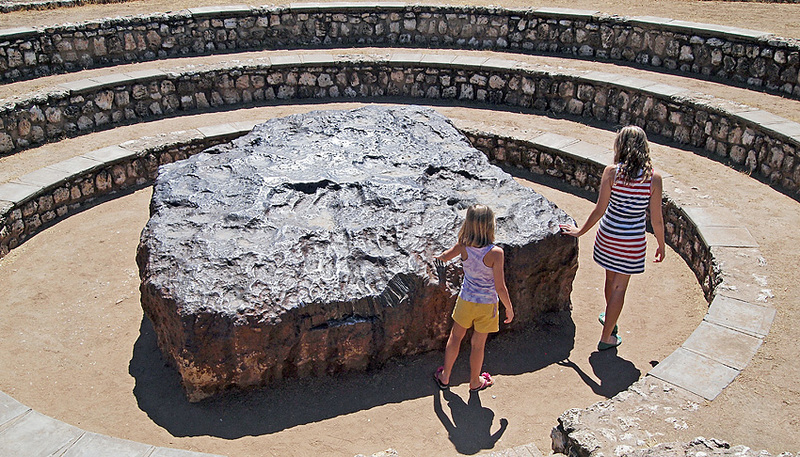 The Hoba meteorite was discovered by Jacobus Hermanus Brits in 1920. 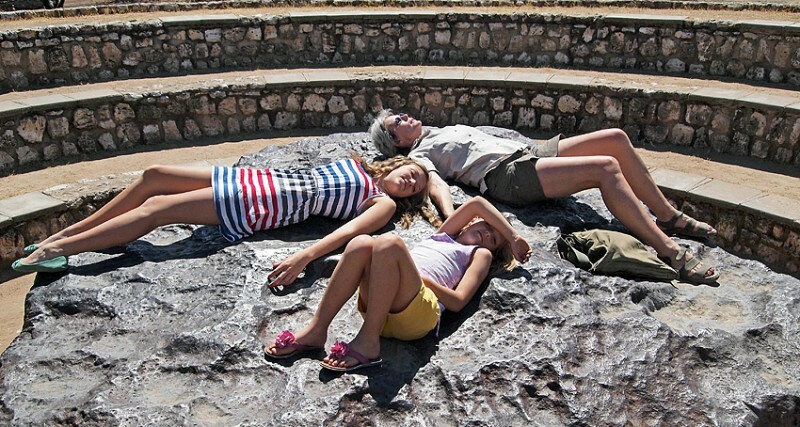 It was declared a national monument on 15 March 1955. This demanded a permission from the farm owners. 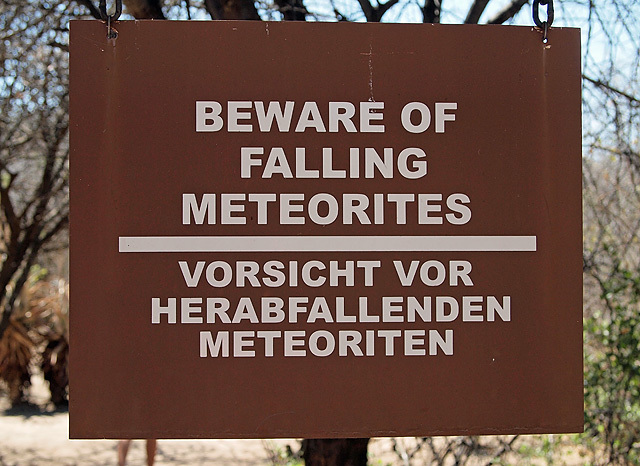 They were in 1955 Mrs. 0.Scheel, in 1979 Mr. J. Jooste and today Mr. J. Engelbrecht who has donated the area surrounding the meteorite. Thus today’s site was created in 1987. It is today a chance to see the biggest “space object” on earth.